"Monster In Law" Photograph by Melissa Moseley, New Line. "Win a Date With Tad Hamilton"
Grew up in a great Midwest town, Ann Arbor Michigan. Later my childhood played out in California. Graduating UCLA, I went to New York to study dance with Merce Cunningham. I was fortunate to be part of a downtown art scene, many of us carved out living spaces in lofts amongst existing factories and business. I loved to shop from the street job lots around Chambers Street. (The beginning of my resourceful shopping ingénue) I danced mostly with a company called The David Gordon Pick Up Company. When it was time to make a career change I felt a natural transition into film would be editing. But at the time apprenticing to be a film editor was going to take another six years so I sought any entry-level job as a PA. I got my first job working with Peggy Ryski while a film was scouting New York. 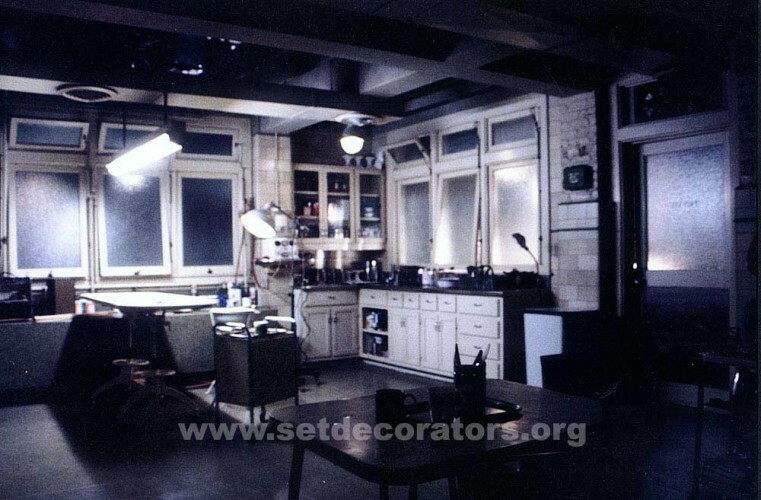 I got a job working as an assistant to the Director of a low budget non-union film called, “Heart.” My next job was working as a locations assistant on a large period film “The House on Sullivan Street,” decorated by George De Titta, Jr (see spotlight archived article on George below). From there, I was offered to come out to LA to work on a film as a set dresser, by way of a production designer that I had worked with in NY. The decorator had been replaced midway filming and the new decorator, Ann Ahrens had me shopping while she caught up preparing the sets to come. Ann’s husband Paul Ahrens gave me a job shopping to help him prep for a television series called “Werewolf.” Once shooting began I became the onset dresser for the art department. That’s where I learned a lot about the needs of the shooting crew especially the needs of the Director of Photography & Gaffer. I knew to anticipate what the camera would need before I was asked and what to prepare to move next for the following set up. I learned the importance of the attention to detail. 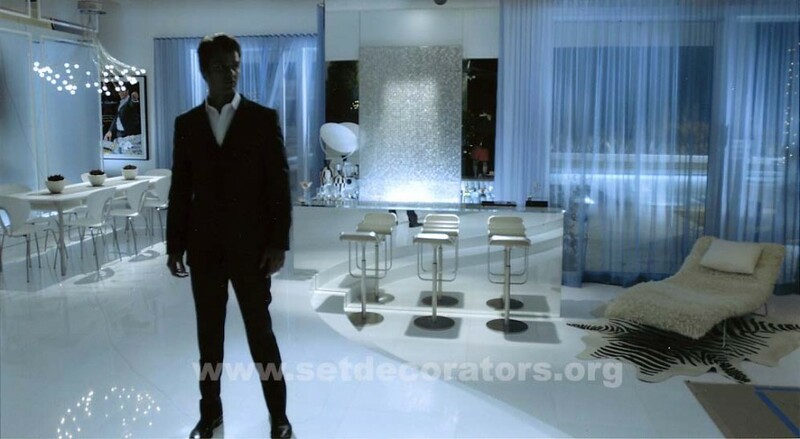 The show lost the decorator for the last three episodes, so the producers promoted me to Decorator, with a promise if I didn’t like it I could have my old job back. I got a non-union film as the set decorator on ”Two Moon Junction.” I think our budget was $15,000. By the time I was decorating Alan Rudolph’s film “Love At Large,” I realized I was on track with a new career. I received a Bachelor of Arts degree in Dance from the School of Fine Arts at the University of California at Los Angeles. I had entered college majoring in Design with my interests in sculpture and photography. Though I graduated with a major in Dance, I had been experimenting with video images to partner dance performance art. Books and the Internet. I especially like photojournalism books. Our bookstores and libraries are now flooded with great books loaded with beautiful images. Studying the interests and occupations of the characters in the script via scouting the work place with my camera at hand. 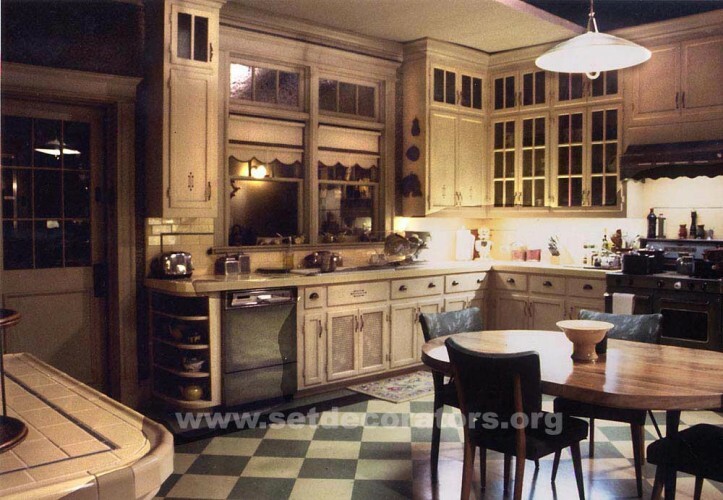 “Six Feet Under” because from the moment we began the pilot through the last moments on the stages shooting, everyone knew that this project was so cohesive on every level of production and from every department. The director, Alan Ball was incredibly passionate about the project and very involved and respectful of each individual’s craft. 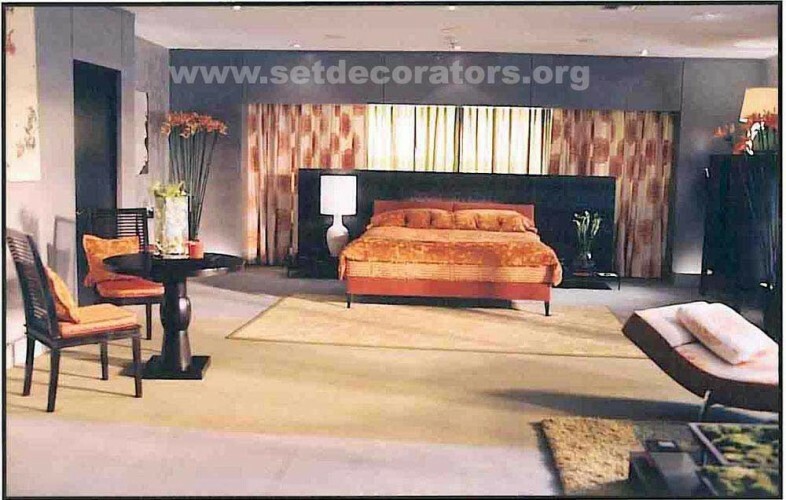 We discussed not only the feel of the rooms but also the specific shape of the legs of the sofas and chairs. We built much of the furniture and light sconces in the slumber room that set the tone of the series. 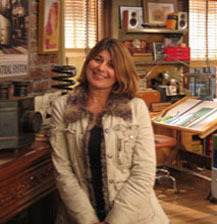 I was fortunate to have worked with the very talented production designer, Marcia Hinds – Johnson. Her intensity and enthusiasm for the project and attention to detail paralleled Alan Ball’s. “Monster In Law” was my second film working with director, Robert Lukedik and production designer, Missy Stewart. I feel like Missy designs the sets like one continual landscape. She created wonderful sets that matched the scale of the actors and their characters (Jane Fonda & Jennifer Lopez) and I got to fill them! The different styles of the sets sent me off shopping at some of my favorite stores. I got to work out of antique stores from Ventura (Nicolbys) to Pasadena (Antiques on Fair Oaks) and stores that I enjoy frequenting such as Diva, Fitzsu, Zipper, Jonathan Adler’s and OK Gallery, to name a few. We had great contributions made by Baccarrat, Kate Spade, Mikasa, Knoll Furniture, Dornbrach, Duravit and Le Creuset. Working on “How I Met Your Mother,” on a personal life experience level, allows me to relive out my twenties in New York City. I have the talents of my production designer, Steve Olson and the strength and steadfastness of my lead, Ron Shulem and the set dressing team of players. So fortunate I am to jump from many different New York scenarios in the blink of an eye. Making sure the broad strokes are there and carrying the actors to where the director needs to take them. Filling a full size empty grocery store in the filming of “Win A Date With Tad Hamilton.” We were at a practical location that had absolutely no product. There was a few hundred feet of existing glass refrigerators and meat counters. Because of the sound of the motors we had to have empty containers of dairy & frozen food products. We had set dressers manufacturing fake meats & vacuum packing was filled and restocked for freshness as we shot. 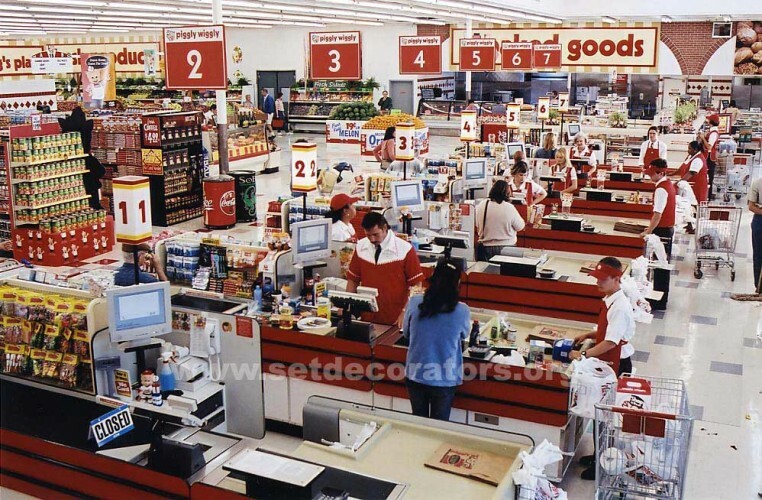 We made endless truck runs to Costco and the 99-cent stores, for what we could not get in product placed items. Please list any SDSA business members with whom you do business. I work with so many of the business members. Where I go depends on the kind of sets I am decorating. I am not exclusive of any one vendor over another. I have some preferences out of history & familiarity. Especially art work. I go to Mardine Davis www.mardinedavisart.com for specific artists or if I need historical prints that are clearable. Mardine represents many artists that I like to use, besides giving me the confidence I will be renting art that I can have cleared. Though I have the Mardine Davis Gallery frame the prints I buy through her gallery, I use U-Frame-It, www.uframeitgallery.com, to frame large jobs that I need yesterday. U-Frame-It has a very large inventory of in-stock moldings and mattes. When the shooting schedule flip flopped on “Monster-In-Law,” Adrianna of U-Frame-It sent a courier to get the moldings I needed for a rush order on a hero montage of photographs. I also use Hollywood Studio Galleries for their diversity of venues for hotels & public buildings besides a great source of framed documents & bulletin board dressing. Of course, I use the ‘big’ houses, such as Universal Studios www.universalstudios.com, Warner Brothers Property www.wbsf.com, Sony , Omega Cinema Props www.omegacinemaprops.com and 20th century Props www.20thcenturyprops.com. Additionally, RC Vintage, www.rcvintage.com (who have a great lighting department added to their predominately vintage furniture and smalls), Lennie Marvin Enterprises, www.propheaven.com (a strong & complete inventory of store fixtures & product, coffee shops, and clean street dressing), EC Prop Rentals (warehouse & industrial dressing having many lighting multiples & good signage) www.ecprops.com. Heaven or Las Vegas, www.rentneon.com for neon. I often use Modern Props, www.modernprops.com for high tech dressing in way of electronics, lighting and airport dressing. I love Objects www.ob-jects.com for a fresh take on furniture and hand props and art. For many of my modern pieces of furniture I often purchase from Cisco Brothers www.ciscohome.net. 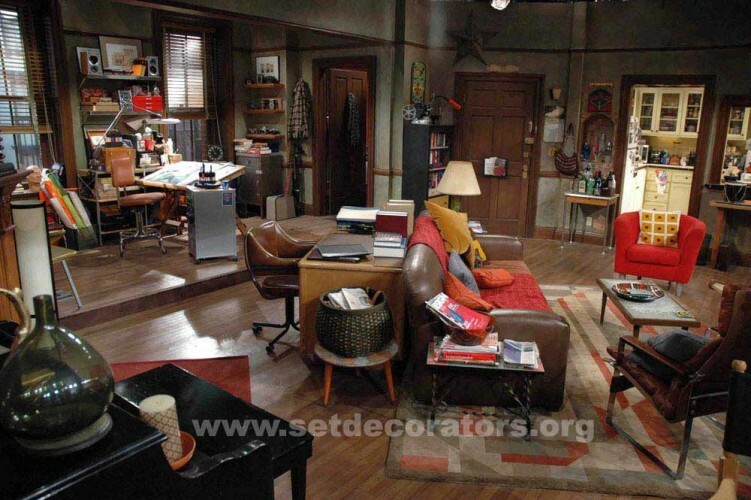 I decorated an airplane (“Win A Date With Tad Hamilton”), the sofa in Charlie & Kevin’s living room, both Viola’s bedroom and living room sofa and chairs (“Monster-In-Law”), Robin’s sofa (“How I Met Your Mother”) from Cisco Brothers. And finally, I love textiles. 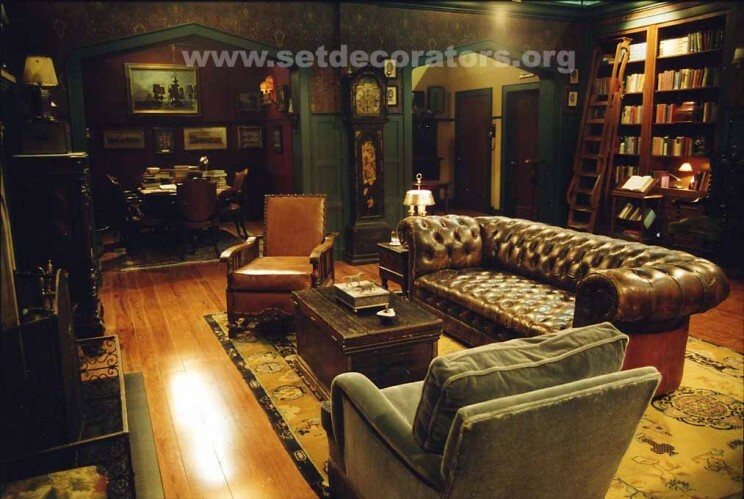 I depend heavily on the drapery departments of 20th Century Fox www.foxstudios.com, Warner Brothers, and Universal Studios for bringing a wonderful palette of colors and life to pieces that needs to be reupholstered and windows that transform the light into the room. Both a digital & film camera (a back up disposable one is kept in the glove department). Floor plans for the sets, two cell phones (my own & the one provided by production), two tape measures (I am always losing one), Hold tags, masking tape, sharpies, clipboard with pick up sheets & envelopes, change for parking meters, a bottle of water, hopefully a protein bar, Thomas Guide, Debbie’s Book, sunglasses, a laptop when it’s not too hot, and a jacket for the unheated prop houses. The outlet chargers in my car harbor tentacles of my daughter Mikayla, with her video I pod & cell phone chargers. 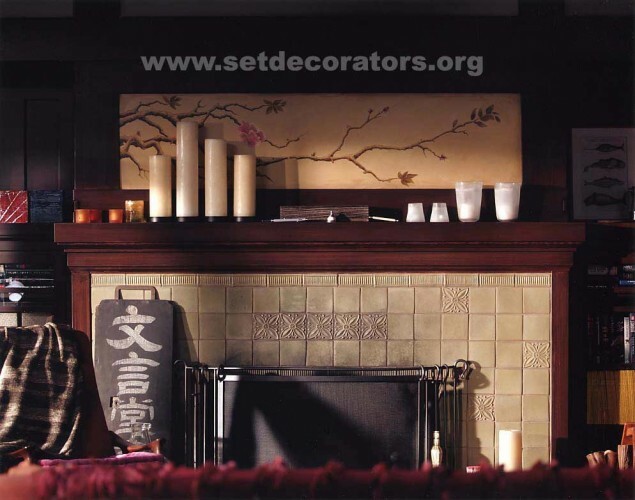 What advice do you have for those interested in the field of set decorating (including those already in the profession)? Understand that you work in a community of players to what ever it is that you are contributing to. Sometimes is it difficult to remember to practice patience & grace when you are under pressure. Especially when you are juggling many deadlines with changing scripts & shooting schedules that are constant. One must maintain flexibility and embrace the jobs that seem impossible; the reward of actually accomplishing the task at hand might bring you new resources of strength from within. Take a moment from all the lists of tasks that have to be accomplished and remind yourself that you actually love what you do. It is so great to be able to get paid for transposing a script into a viable space for actors to stage the work and the vision of many to be met. A strong lead person. They are indispensable in the organization and the scheduling of labor, trucks, dressing the sets, returns or safely storing all the elements of set dressing. Most importantly, my lead has to have good people skills. Maintaining the working relationships of his immediate crew and being comfortable discussing the budget of the labor with the producer, as shooting schedules fluctuate and locations limitations are defined. My On Set Dresser that maintains the intent & integrity of the set dressing while working with the needs of the director, director of photography and accommodating both the lighting and grip department respectfully. The On Set Dresser is really the ambassador to the Art department. 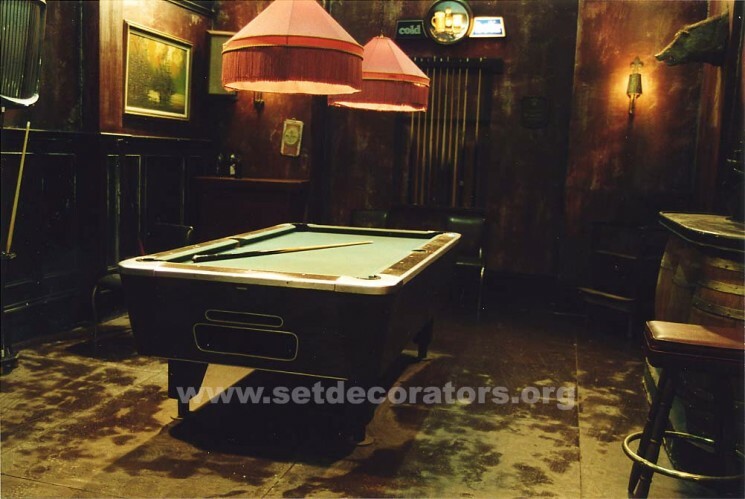 The ensemble of the Set Dressers (especially the indispensible "Buyer") the tool of accomplishing what the production designer and set decorator has envisioned. The set dressers bring so many skills to their job of dressing the sets. I liken it to an orchestra with a symphony of talents. There is the dresser that is very competent in wiring light fixtures, another for rigging and assembling furniture. There is the Buyer and assistant to the Set Decorator, such as Adianna Lopez and Sondra Thorpe who always find exactly what we need and count on for attending to the small details of helping the set look inhabitable. Actually, there is so much more conscientiousness and responsibilities to their job that we never see & appreciate, until you are working with a crew that does have the same level of experience. While shooting “Monster In Law” I received a midnight phone call requesting that the black tie lawn party needed to be extended over a slopping hill that dropped off into darkness. It would be necessary for a large deck to be built & a dance floor laid. Railing was built to tie into the existing porch. There was an additional 8 tables complete with floral arrangements built around table lights, large crystal chandeliers, two ice sculptures to be backlit at the head of the champagne table. In addition, the platform needed to be draped to befit the elegance of the event. Corri from Sandy Rose, www.sandyrose.com was the first to call, besides knowing that she was already up & at the flower mart. 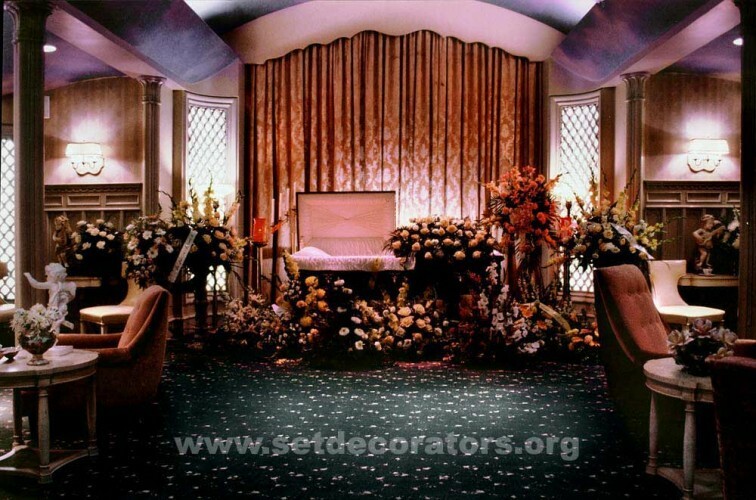 Her response was simply, ‘what can I do?’ She had the table lights and built the most amazing arrangements for the tables and the additional large arrangements on pedestals. I arrived @ LA party Rents www.lapartyrents.com before they opened, it took until 11:00 a.m. to complete the order because I was fielding 2 cell phones with calls between the production designer and my lead man, Mark Weissenfluh. Next stop was Union Ice Co., it just so happened that the ice sculptor had just completed a few sculptures and they scheduled the delivery. By the 5:30 p.m. call for that evenings pages, every piece was in place. 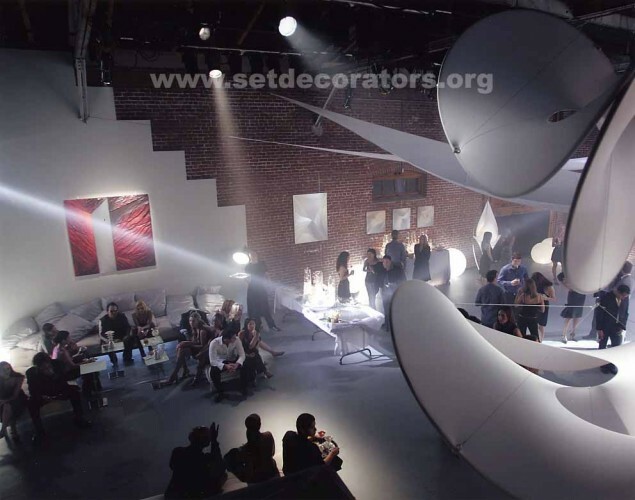 Take the opportunity of getting to know some of the set decorators and business members that you do not already know by attending an SDSA function. I would design the bedroom to be open to the outdoor environment & still maintain privacy. Whether it is in New York City with a canyon of high-rise buildings & rooftops or a bedroom with an entire wall of glass doors opening into a garden. I like combining the clean lines of modern with organic textures and materials (i.e. wood / steel / glass /textiles for color & texture). I love using a beautiful antique piece of furniture, or salvaged hardware in a modern venue.